I thought to myself, am I influencing my daughter? 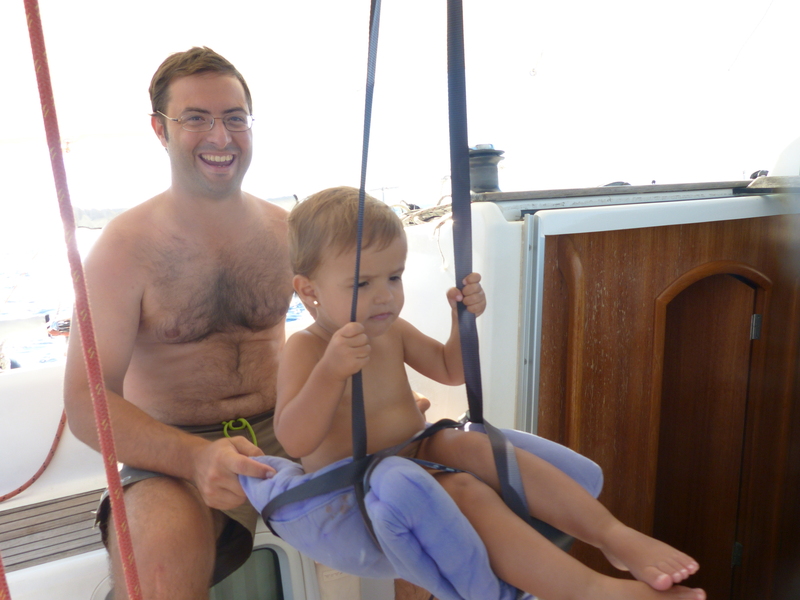 The answer is yes, and it made me think that a blog post about sailing with a child on board might be useful, so I will share my experience with you. 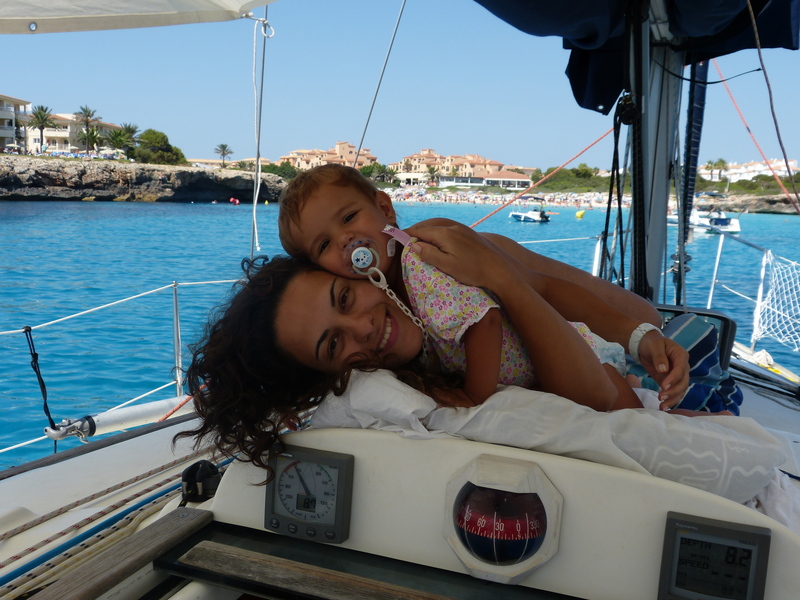 My daughter is 2 years old, and ever since she was born she has sailed in our sailboat. When she was 2 months old, we sailed for the first time with her. For this trip I chose to take her in this backpack, I felt more secure and I had control over what was going on at all times. And when we slept, she slept with me, and always moored on the port. When she was 9 months old we went to Costa Brava for a week. The plan was to stay close to a port in Costa Brava, and then spend half a day in a cove nearby. 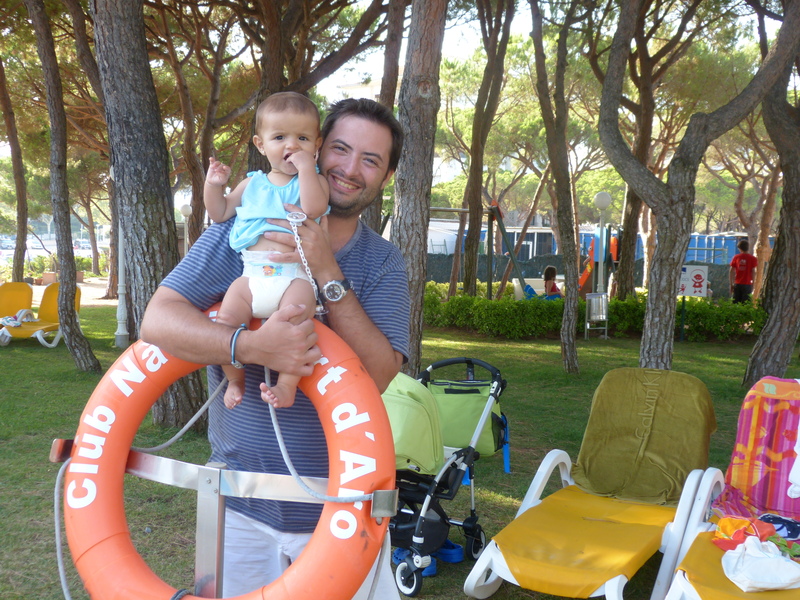 We chose Port d’Aro, because it allows us to spend the hottest hours in the shadow near the trees and swimming in the pool. 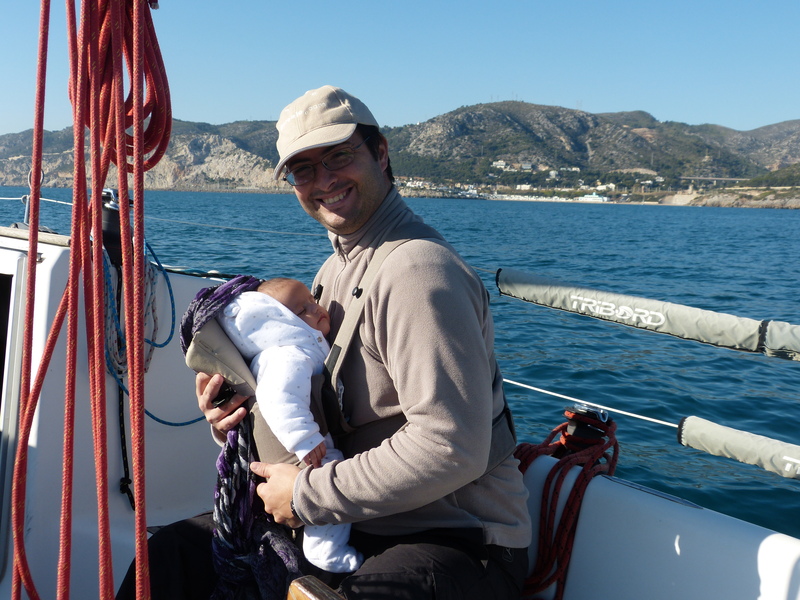 When we went out sailing, it was important that my wife was with our child 100% of the time, whilst I sailed the boat. When we anchored, we played in the bathtub and little by little, we got into the sea. When sailing, and also whilst anchored, we always had the bimini on, so that she was protected from the sun. You can’t tell from the picture, but on top of my daughter having the safety vest on, I was wearing fins. It gives you more stability and control over your movements. 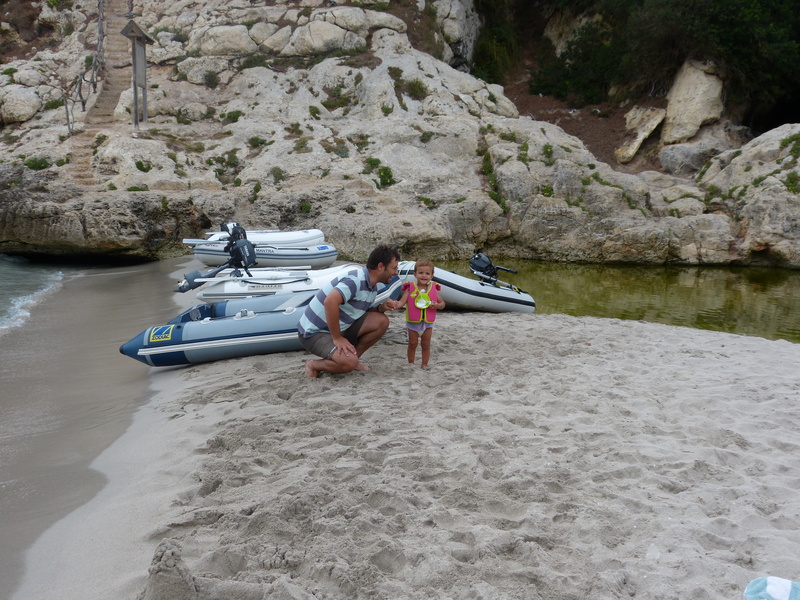 When my daughter turned 1 year and 9 months, we felt she was much older so we went to Menorca. I sailed the boat from Barcelona to Menorca just out of precaution, and they flew directly to Menorca. When the night arrived and it was time to go to bed, we placed a net around her so that she wouldn’t fall. As children move a lot at night, this way safe as she was protected from any internal, and external movement. 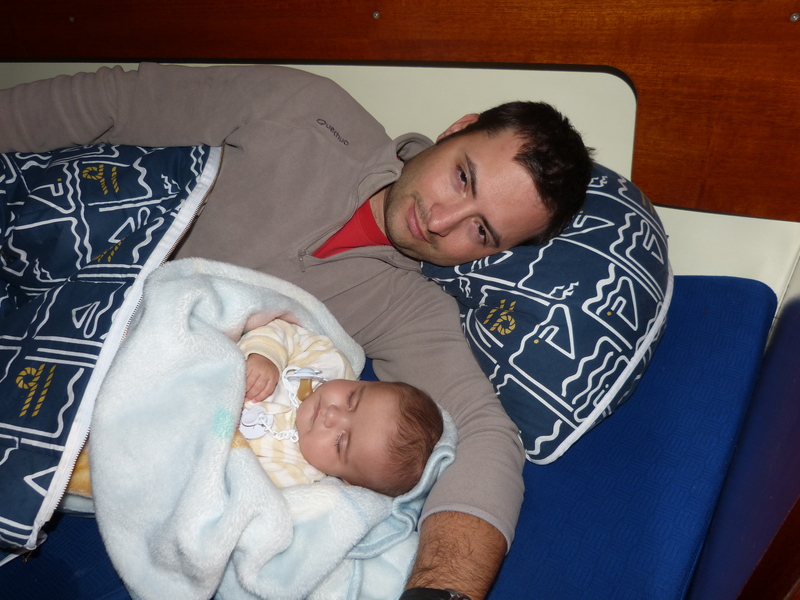 After one or two days sailing, my daughter was more used to the boat. She was aware that she had to be with an adult all the time, and she understood the rule that you can stand up in the bathtub, but in the benches of the bathtub you are only allowed to sit down. Whilst sailing, (again, with the bimini on, so we only sailed with the motor on or with the genoa) the priority was controlling her, and then entertaining her. The iPad is always a safe bet. 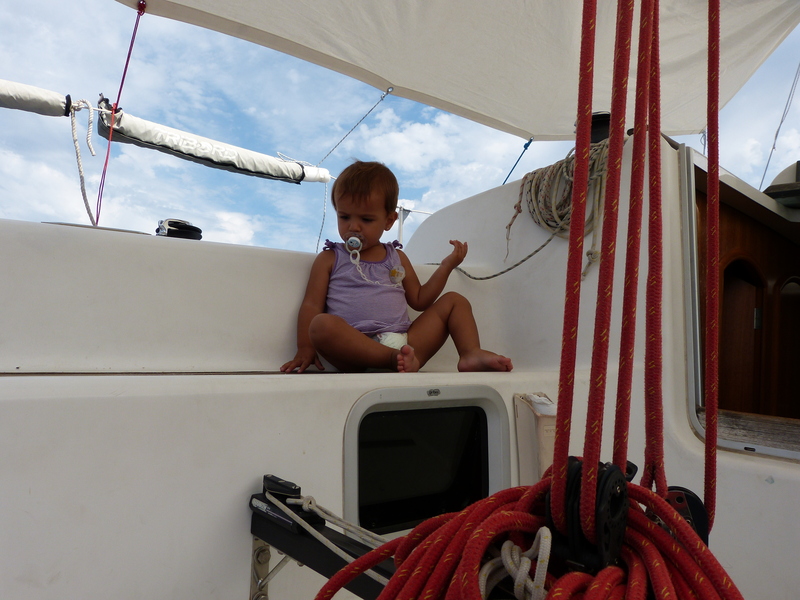 We showed some cartoons, or toys that helped her enjoy sailing but still being entertained with her own things. This year, in all of our anchorages we went inland for a while to give my daughter some time to run and play on the beach. Although she likes the time on the boat, one can tell that she really needed to spend some time on land. 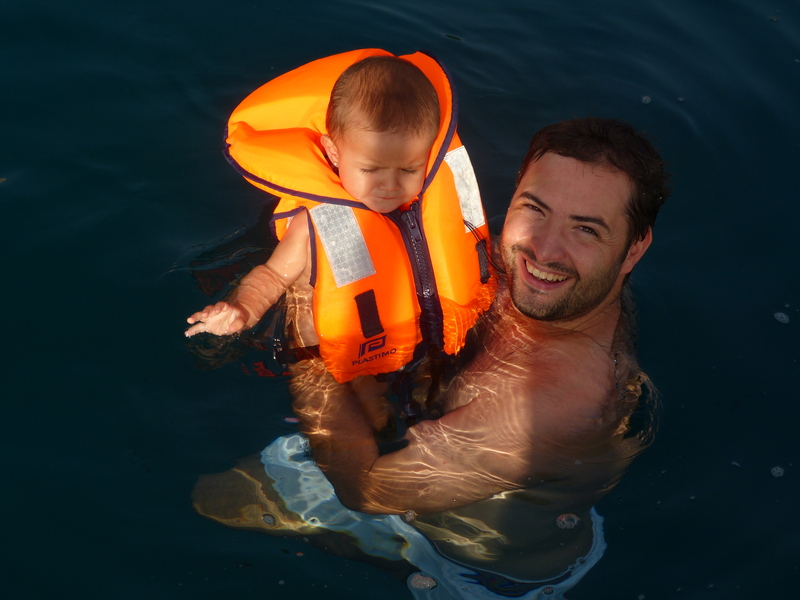 This post is also meant for parents that have some concern about sailing, and my advice is, jump and go out there! Always use the necassary cautions, and you’ll enjoy an adventure of a lifetime! To sum up, below is some advice. Be mindful of the weather at all times, especially before you set sail. Don’t take silly risks. Another risky place is stairs and pointy spots. So keep your child safe at all times. One person should be fully devoted to the child. 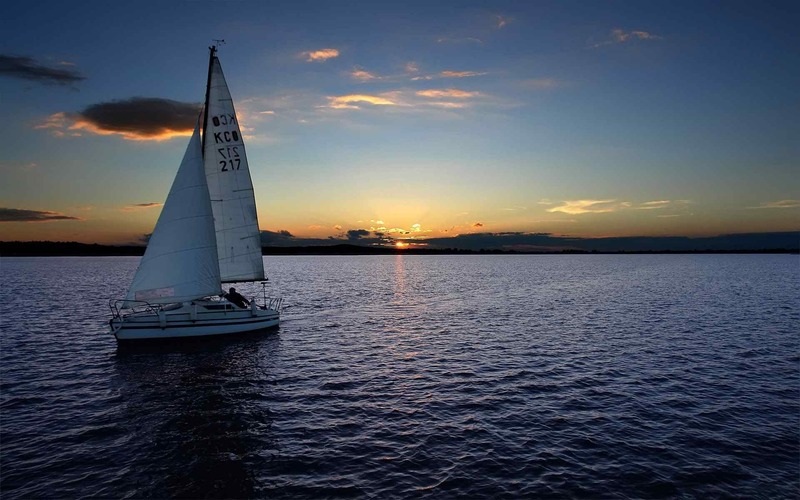 If you sail with confidence by yourself, you can do the trip with the two adults, but in case you need help, it’s better to bring more people on board. Use sunscreen, wear cap, and use the bimini at all times. 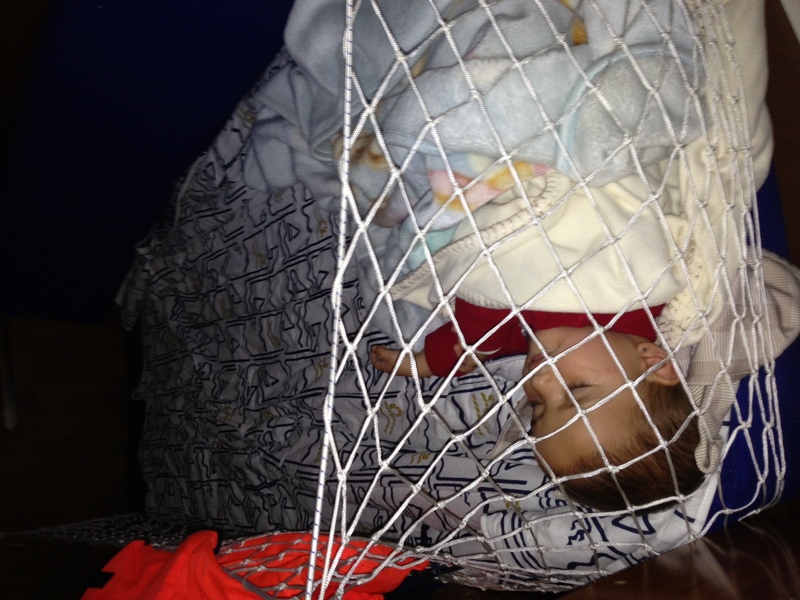 Use the nets for the bed, it keeps your Child safe. But above all, enjoy the ride! This picture is a visual depiction of how my daughter felt during our trip. 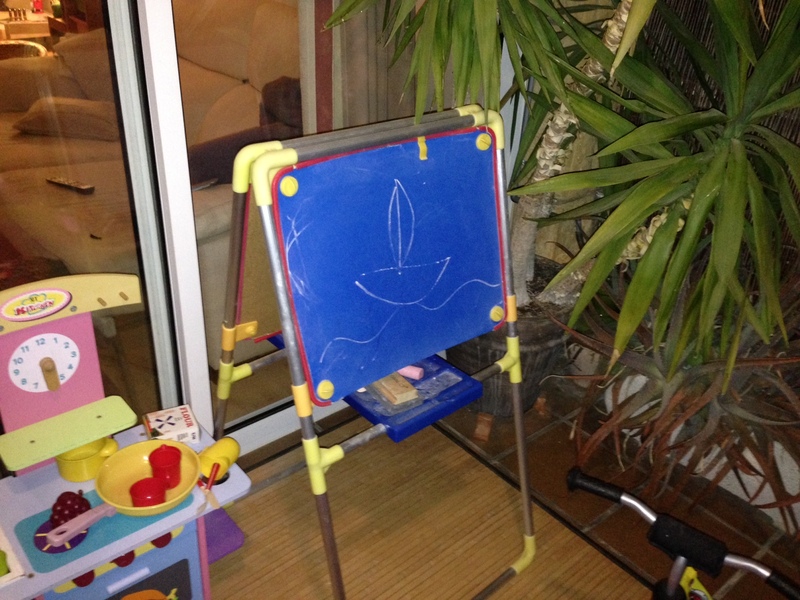 And to answer the first question, whether we influenced her boat drawing, we undoubtedly did. But as for experiences like this and spending quality time with her, I believe this is a positive influence. 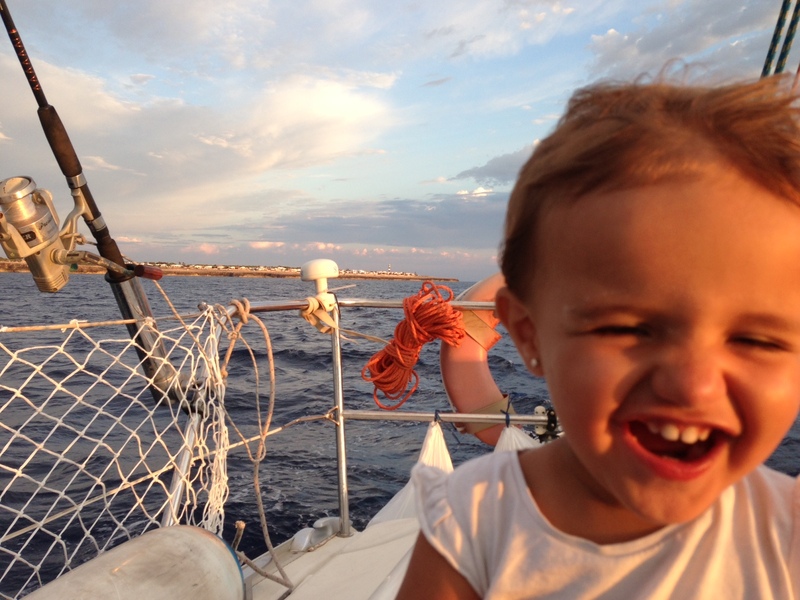 Let us know whether you’ve ever taken your child sailing with you, and what was your experience like?